Woodford Kilcoy Florist is your local Woodford and Kilcoy florist. 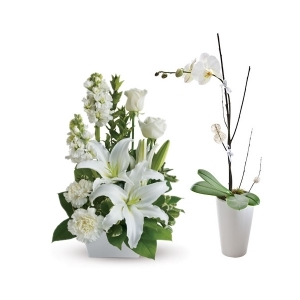 We specialise in creating beautiful flower arrangements, hampers and plant gifts. Browse our site and either call the Florist direct on 07 5429 6568 or 0438 080 952 or order your flowers online. Woodford Kilcoy Florist is a local florist delivering flowers to the Sunshine Coast and surrounding areas. 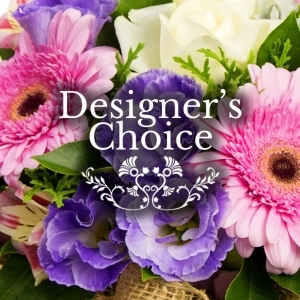 Our Award Winning Florist can create a beautiful bouquet or flower arrangement to suit your budget. Woodford Kilcoy Florist sources fresh local flowers to ensure your flower arrangement lasts longer. 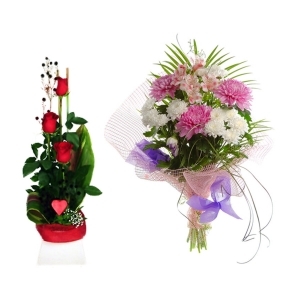 We pride ourselves on providing high quality floral arrangements. Our fresh flowers are finished with exquisite ribbons, wrappings and glossy greenery to create an overall superior impression. 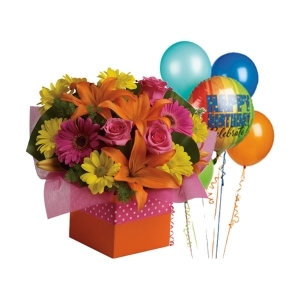 Order flowers direct from your local Woodford and Kilcoy florist for same day delivery. Woodford Kilcoy Florist offers same day flower delivery for orders received by 2pm on weekdays. Sorry no weekend deliveries. If you aren’t sure if we deliver to your destination, please call us on 0438 080 952 or drop us an email. My wife was delighted with the flowers. Best online ordering ever. Delivered in time for our anniversary. Saved my bacon. Highly reccomend! Totally worth it. The best quality Roses, Tortured willow and foliage. Beautifully presented. I haven’t seen such great stuff from a florist. In years. Congratulations. From a very Fussy Lady.